For evensong and also in memory of Elizabeth Edwards, wife and mother of our friends Andrew and Jack, who died on 8 February. Last updated Sunday, 10 February 2019 at 20:26:11. First submitted Sunday, 10 February 2019 at 19:01:21 by Paul Flavell. 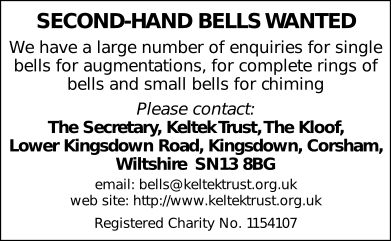 Sent for publication in The Ringing World on Monday, 11 February 2019 at 08:07:50, and printed in issue 5627.